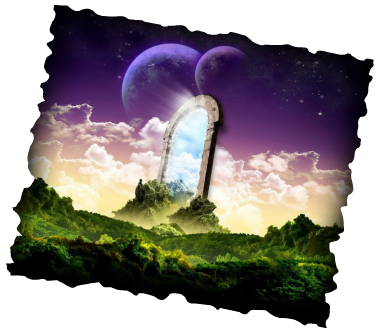 Welcome to the Realms of Adventures collection of blogs surrounding the adventures written or experienced by the author, Andrew Jackson, and his online gaming group. The original Play-By-Post game "Realms of Adventures" are serial stories from a wide range of genres, played and experienced by players from around the world. Realms of Adventures is a play-by-blog post game based upon decades of classic roleplaying gamebooks that have come before. Andrew Jackson, the founding Game Master, has been a fan of Choose Your Own Adventure books since his youth. When Andrew was just 11 years old he started an open world play-by-email community, utilizing player scene submissions and story branches, based upon Piers Anthony's Xanth series of novels.